NHS funding crisis which will get worse with Brexit! And we should not be surprised because we all know the NHS is close to breaking point. What’s more the prospects are for things to get worse with Brexit! So sad that our political leaders both in Government and in the Official Opposition are both ploughing on with Brexit when they know it will further cripple vital public services. You can’t have a great NHS if the economy is broken; wake up smell the coffee. Time for rank and file Tory and Labour members to get a grip of their political parties whose Leaderships seem determined to chuck us all over the economic cliff of Brexit and the NHS with it. 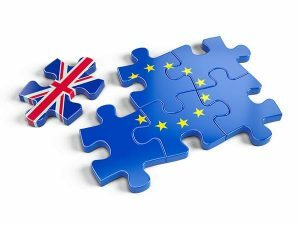 Brexit – Oh look a shortage of EU nurses! Sadly Brexiters are seemingly happy to see us have a nursing shortage as they desperately try to turn the UK into a nation with no friends. Of course it could also be that they did not think through the consequences of their actions as they led us towards the cliff edge. I wonder if Brexiters would be prepared to go in a slow lane when they need to attend hospital? Just imagine being asked ‘did you vote for Brexit?’ at triage. You did, OK please go to that queue of there. It’s a much longer queue because we have ensured that there are no EU medical staff to interact with you. I bet Brexiters would soon change their tune and pretend they had not voted for Brexit! Sadly, however, we are all in that NHS slowing down treatment lane due to the collective act of self-destruction created by the result of EU Referendum. Brexiters promised to revitalise the NHS, but they’re killing it. 30,000 unfilled nursing posts, 96% drop in EU nurses registering to work. I suppose that this rather sad and worrying state of affairs is not really new news as we have all heard the warnings from doctors, nurses, NHS unions, health charities and various health watchdogs along these lines for quite a long time now. As one of the richest counties in the world it shows how poor we are at running our own health service, or at least how poor the politicians are who run it for us. But rest assured Boris is going to bring in £350m per week for the NHS via Brexit (the most infamous bus advert ever) so that’s going to be alright then – well it would be if it was not totally untrue like all the rest of the Brexit nonsense. If the NHS does keel over this winter will Tory voters blame the Tories and Brexit; they should do. Brexit – Where will the NHS find enough nurses? So the 52% of electors who chose to vote Out in last June’s EU Referendum have caused this! Thanks very much, what on earth were you thinking of? Don’t you have to visit an NHS hospital like the 48% of us who voted Remain?